It’s been interesting following reaction on Rush is a Band to the news that the Rock and Roll Hall of Fame mentions original Rush drumer John Rutsey in the band’s bio and timeline but doesn’t actually name him as an inductee, posthumously, along with Alex, Geddy, and Neil. “WTF? I don’t understand,” says Jeddylee in the first comment to Ed’s Rush is a Band post on the matter. “Whaaat? Thats crap . . . What’s the harm in including Rutsey?” says scootertrashaz. But others make the point that the band being inducted by the Rock Hall is the one that emerged after Neil joined. This is the band with Neil’s virtuosic drumming and thought-provoking lyrics, and Rutsey had no part in that. When he was in the band, in their early years and for their first album, it was all about straight-ahead rock. And that straight-ahead rock band isn’t what the Rock Hall is recognizing. 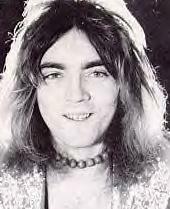 “Had Rutsey remained with the band, Rush (arguably) would have been a footnote in rock history,” says FlyingRoadstar. “Rush would have faded out of existence,” says GreeneWolfe. “I support the decision not to include him, although if they HAD included him, I’d be okay with that too,” says GeddyRuiz. Sounds like he would make a fine politician in the grand pragmatic tradition. That would certainly clear up this sticking point. Several of Ed’s readers made the important point that part of the fault rests with the Rock Hall’s unclear policy for who should and shouldn’t be inducted. Over the years it has sometimes inducted all the members of the band and at other times it’s inducted some but not all. For example, one reader pointed out that Bob Welch was never inducted as part of Fleetwood Mac, even though he played on several of their albums and even wrote some of their pieces. A couple of readers speculated that the way a band is presented is likely decided by the Rock Hall in consultation with the band, and that makes sense. I can’t imagine the Rock Hall deciding these things without getting the band’s input, nor can I see the band making the decision solely, because it’s the Rock Hall that’s doing the recognizing, so ultimately how the band is presented rests with them. As one reader pointed out, imagine if Yes, which had 18 members over the years, insisted on having all of the members inducted. Guests at the banquet would still be eating their dessert before the Yes members had finished their speeches. Should Jethro Tull ever be inducted, which it should be, the speeches would go on even longer if all the members are inducted, because there were two dozen members over the years. The Rock Hall has always been a frustrating institution, for fans as well as bands. Who gets in and who doesn’t? It’s never made much sense. So, it stands to reason that the frustration doesn’t end once a band is named, especially for a band like Rush, which the music establishment has never seemed to care for. Would it be any wonder if the Rock Hall didn’t spend that much time really getting to know exactly what makes the band tick and why it’s music survives over time? For example, in the Rock Hall’s list of essential Rush songs, it listed only the band’s hit-like numbers, like “Tom Sawyer.” How could they not include at least the first part of “2112,” the piece that is arguably the most important to many of the band’s fans? And why not “YYZ,” which is such an innovative instrumental? ~ by rvkeeper on April 13, 2013. I do think John should’ve been a part of that..But he wasn’t. .A litle dis respectful imo.